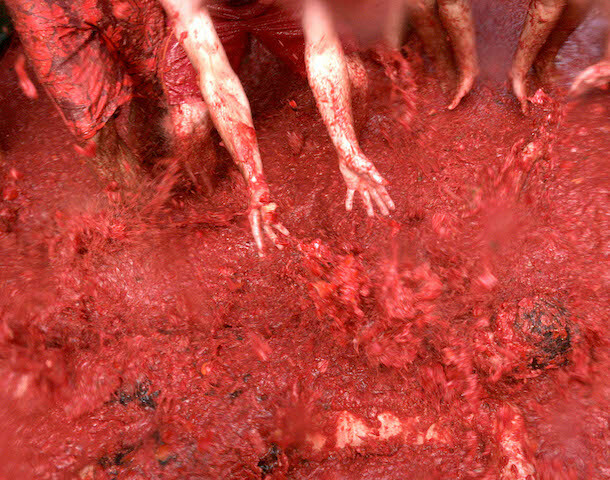 Celebration of “Tomatina” festival in Buñol, Valencia ( Spain ) on 27-08-2008. 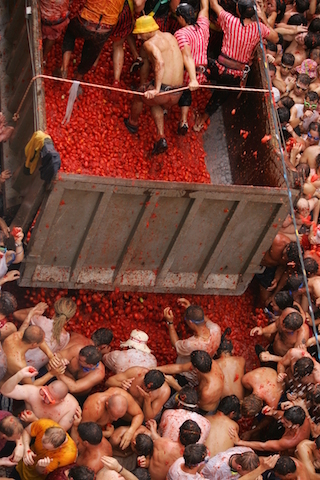 With the original report of Informe Semanal, Javier Basilio made La Tomatina Festival of Buñol public in Spain. 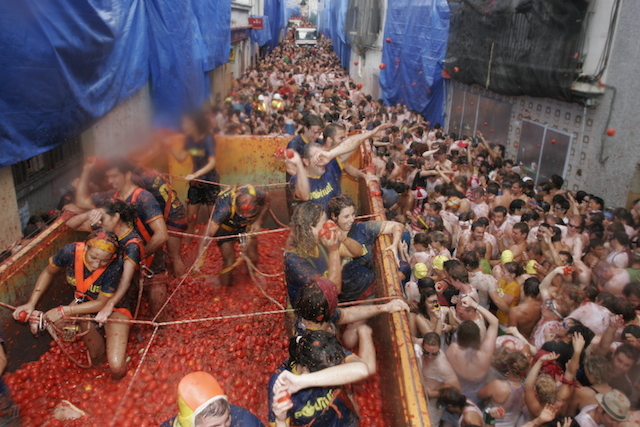 Since then, everything changed, the number of attendees increased year after year so La Tomatina Festival became a famous festivity all over the world. 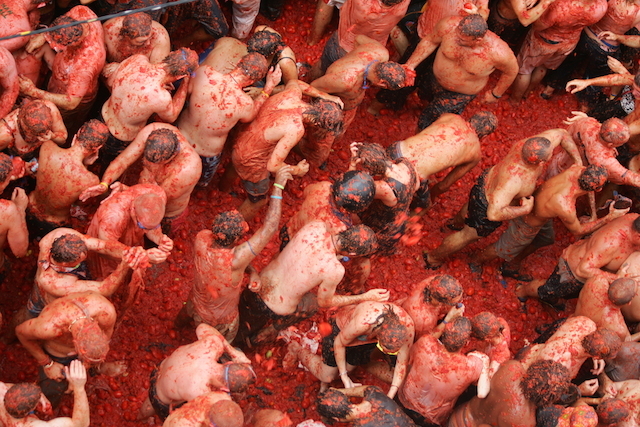 As a result of this, the festivity was declared Festivity of International Tourist Interest. 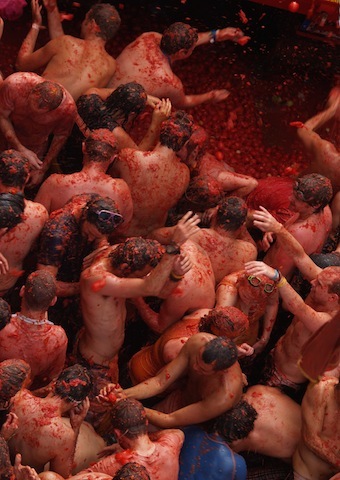 A cut directed by Darío J.Ferrer and Carlos Sánchez Arévalo about the origins of La Tomatina Festival with a great sense of surreal humor. 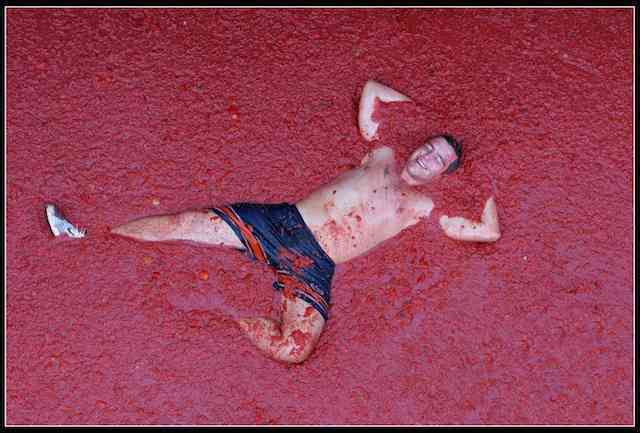 Pepe, who was obsessed by tomatoes since he was born, fell in love with Encarna (the grocer’s daughter). Unfortunately, he has a strong opponent, Alfonsito. 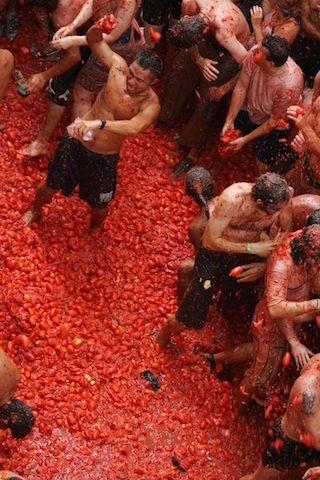 The ending of this love triangle has the backdrop of La Tomatina Festival origins in 1945. 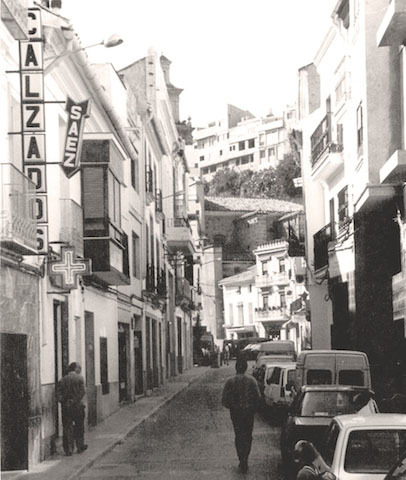 Outstanding artists such as Alejo Sauras, Javivi, Carabias, Albert Pla, Mariam Hernandez, Lola Molto, Joan Gadea, Jose Montó, among others, participated in this work…as well as the citizens of Buñol. 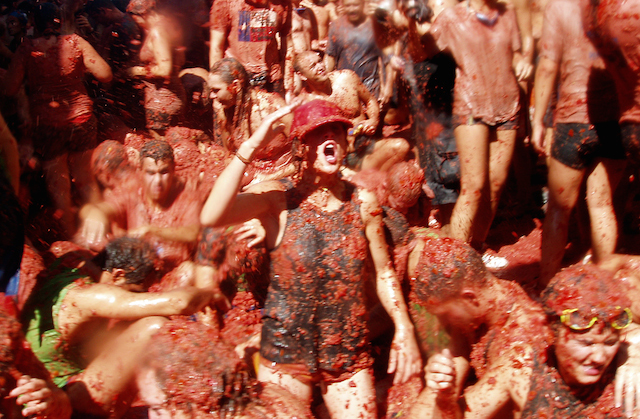 Here you have two videos where you can experience La Tomatina Festival from the heart of the festivity. 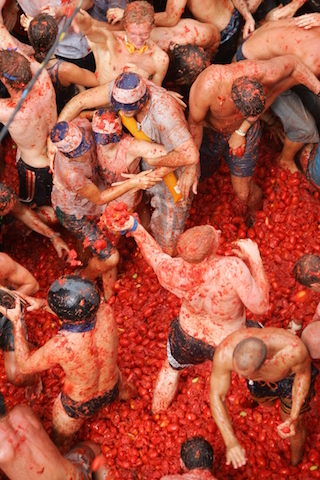 Experiencing giving and throwing tomatoes in live…there is no comparison! 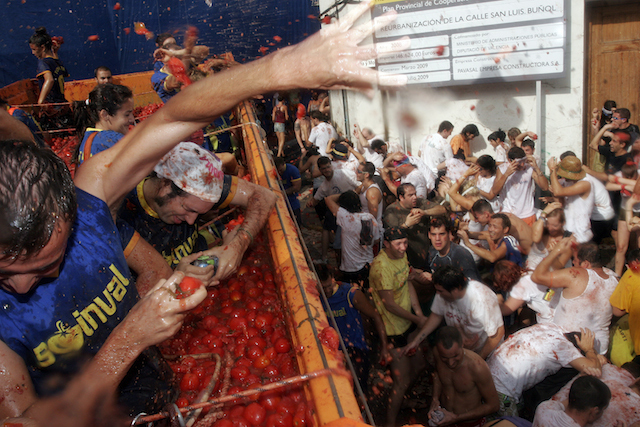 But, at least, you have an idea and a starter for La Tomatina Festival 2013! 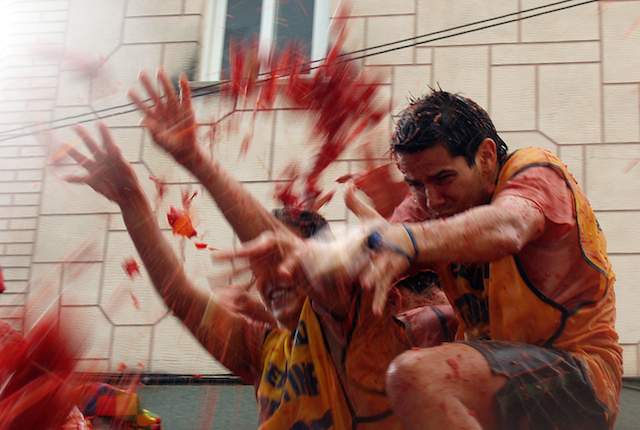 The song “Todo del mismo color” was published in 2008 as the soundtrack of a clip directed by Darío Ferrer, where pictures of La Tomatina Festival 2008 were included. 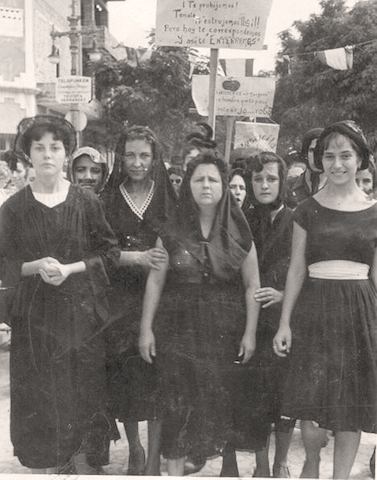 The song was introduced later in the second album of the Buñol music band, “Fuera de control” (Out of control). The song had a great impact on Internet and also in Buñol. 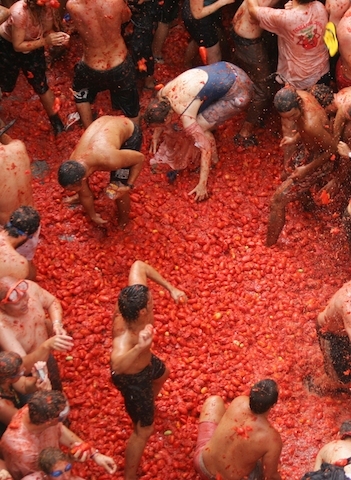 Due to this popularity, the City Hall decided to choose it as the best song to represent La Tomatina Festival because this song makes easier the promotion of this exclusive festivity like never before. The members of the band didn’t expect that their song was so successful. 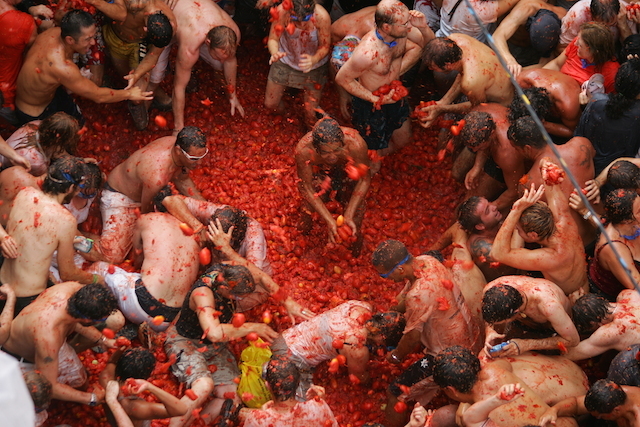 Even before they composed the song, they found difficult this process because they didn’t want a typical song talking about La Tomatina or tomatoes. 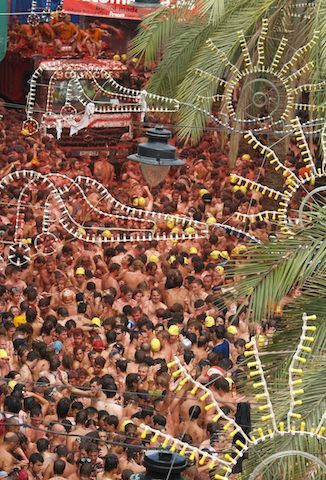 That is the reason why they focus on the feelings evoked by the festivity. El Tio Fredo is a Singer-songwriter, troubadour and a big showman who plays the guitarrò (small guitar). 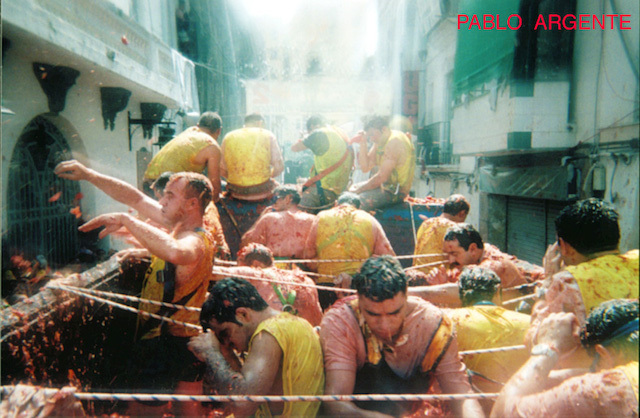 He has composed songs for almost every event, festivity or Valencia typical dish. 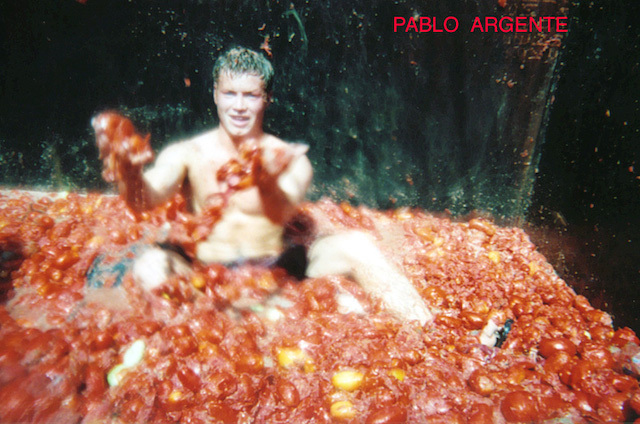 The most famous is called Rock de la paella (Paella Rock) with around 150.000 visits in youtube. With Northamerican Folk inspirations, he is a great instrumentalist who can play almost every instrument; he focus on his own Valencian guitarrò. Old and young people like his height of more than 2 meters, his kindly personality and his funny music, so every show is a party of laughs and tradition to remember. He is the diligent promoter of our traditions and festivities. He has sung songs; told stories during his large experience in Radio 9. 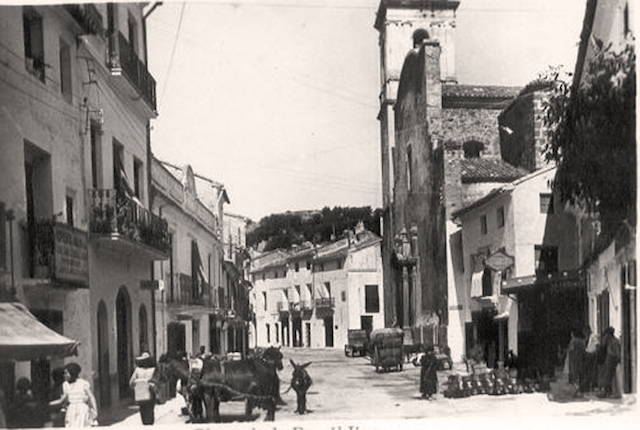 He also worked as a collaborator of Chimo Bayo in ValenciaTeVe, where he increased its reach to 800%. He worked as a talk show guest in 97.0 as well as taking part in to a very famous spanish TV show known as “La Tribu” with Javier Sardá, Santiago Segura and Mercedes Milá. 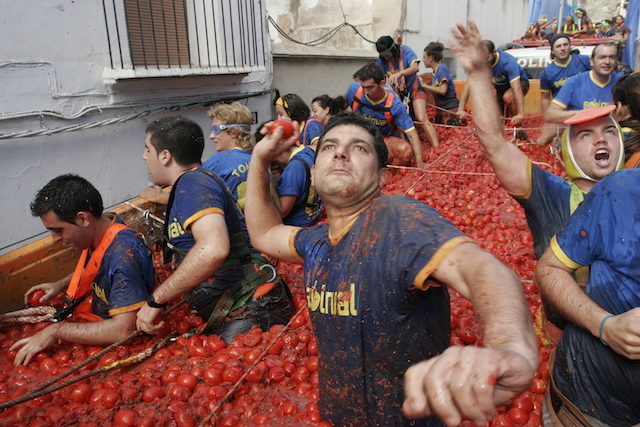 His last creation, La Tomatina Festival song which is composed for his last album presented in 2013 signing the rights over the Town Hall of Buñol. Your browser does not support the audio element. Download the mp3.